The “X-Factor” judge looked stunning in all black outfits at Hotel de la Monnaie in Paris, France. She was dealing with pregnancy rumors after her mom was spotted shopping for baby clothes. Although her mom’s recent shopping might not mean the rumors were true. It was publicly known that Cheryl has been dating Liam Payne for around nine months. The couple met eight years ago when he auditioned for The X Factor at the age of 14. 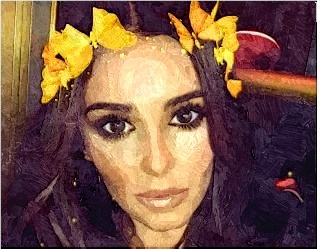 Meanwhile, Cheryl unveiled her “Loreal makeup” look for the Gold Obsession Paris on Instagram.